The forum was the venue for the signing of 332 agreements that are in public domain. Around $15.8 billion worth of contracts were signed by participants in the just concluded St. Petersburg economic forum. Another outcome from the SPIEF was that Russia will set up a new presidential council to promote economic innovation. 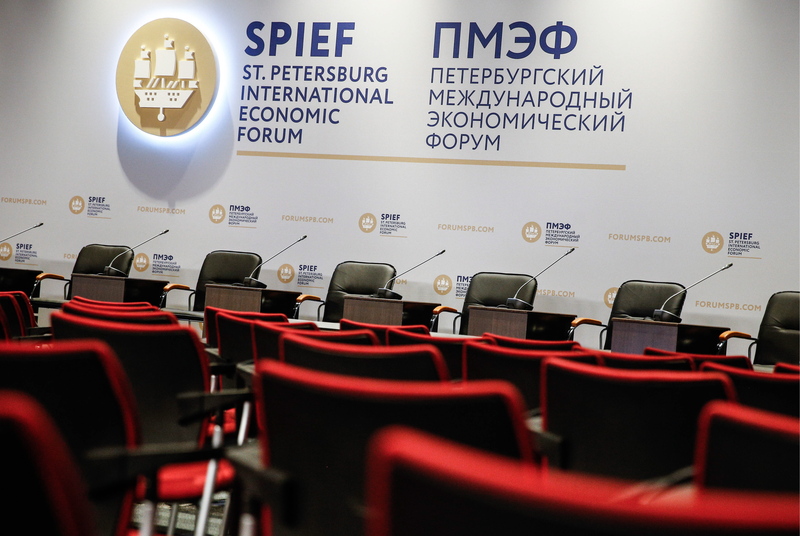 Participants in the St. Petersburg International Economic Forum (SPIEF) signed agreements worth 1,024 billion rubles ($15.8 billion), Anton Kobyakov, executive secretary of the organizing committee said. The official outcomes of the forum would be released later, Russian state news agency RIA Novosti reported. The forum was the venue for the signing of 332 agreements that are in public domain. In comparison, 205 agreements were signed at last year’s SPIEF, worth 293.4 billion rubles ($4.5 billion), or less than a third of this year’s amount. Russian and Italian companies alone signed contracts worth $1.3 billion at this year’s forum. “Last year, foreign partners had their concerns as regards the future of the Russian economy. However, now it is clear that it has adapted to the new conditions. This year, delegates to the forum are openly saying: Let’s do something,” CEO at VTB Capital Investment Management Vladimir Potapov told RIR. The forum has attracted interest from Western and Asian companies alike, said Pankratov. The list of delegates featured the heads of U.S. oil giant ExxonMobil and Italy’s Eni, while Jack Ma, the founder of Alibaba, attended the St. Petersburg forum for the second year in a row. European Commission President Jean-Claude Juncker, UN Secretary-General Ban Ki-moon, Italian Prime Minister Matteo Renzi, and Kazakhstani President Nursultan Nazarbayev also attended the SPIEF this year. The most senior guest at the 2015 forum was Greek Prime Minister Alexis Tsipras, who had come to discuss a loan from Russia. At the time, analysts interpreted this as a boycott of the forum because of the Western sanctions imposed on Russia over the Ukrainian crisis. Innovation was the main theme of the 2016 forum. It was the topic Russian President Vladimir Putin focused on in his speech to the plenary session, and it featured in the majority of round-table discussions. Innovation will result in economic growth irrespective of the political model of governance, German Gref, head of Russia’s biggest retail bank, state-owned Sberbank, and former economic development minister said at a session called “Change or Die”. In any political system, he said, focus must be on raising productivity and improving quality of management. Russian IT giant Yandex is already computerizing metals enterprises in Russia, founder Arkady Volozh said. In estimates by McKinsey, the use of modern technologies in the metals industry may generate an annual effect of $115 billion, including $20 to 40 billion resulting from improved productivity and $15 billion, from savings on resources. To facilitate greater use of innovations, Russia is setting up two new entities. The first, a Technological Development Agency, will focus on technology transfer and importing the best available practices into Russia. Major companies particularly will be required to use the best technologies that meet environmental standards. The new agency will help Russian players set up joint ventures with foreign enterprises. German companies are ready to be among the first to assist Russia, a joint Russian-German session at SPIEF concluded. Germany’s SAP is already working with the Russian gas monopoly Gazprom. The company plans to support Russian startups. The other new entity to be set up in Russia is a Presidential Council for Strategic Development. It will become a “project office” for large-scale reforms. The council will be headed by President Putin, with Prime Minister Dmitry Medvedev as his deputy. The council will focus on improving labour productivity in different sectors of the economy, the President said in his address. The idea of setting up this council was first voiced by German Gref and former British Prime Minister Tony Blair at the SPIEF a year ago. Asked at the time whether he would be prepared to head such a council, Gref replied in the negative. According to the RBC business daily, the new council may become an election platform for Vladimir Putin in 2018. Medvedev got a similar platform in 2008, in the form of the “national projects” in four priority areas: housing construction, health care, education, and agriculture.